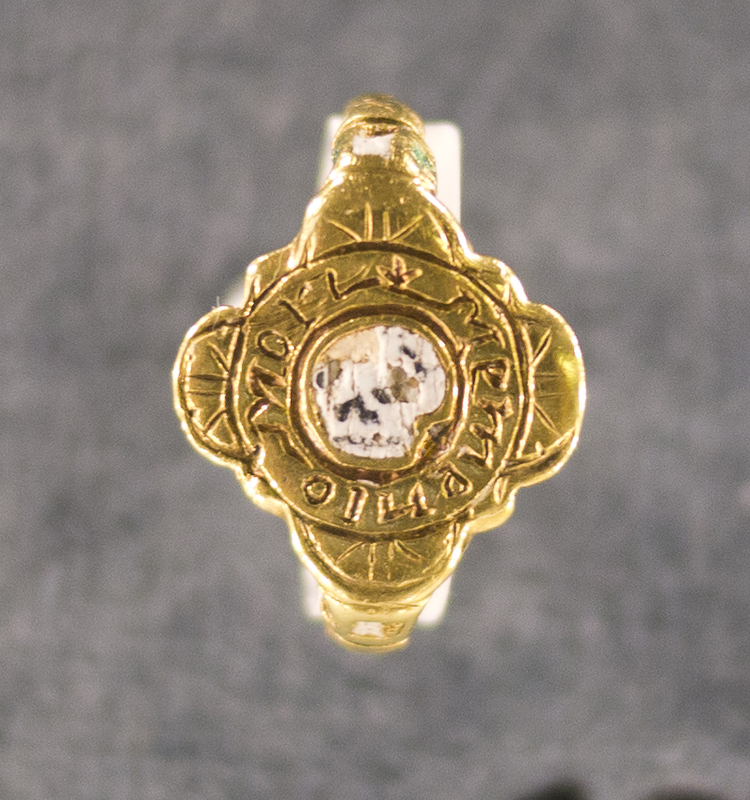 The distribution of rings to friends and family in memory of the dead dates back to the thirteenth century. 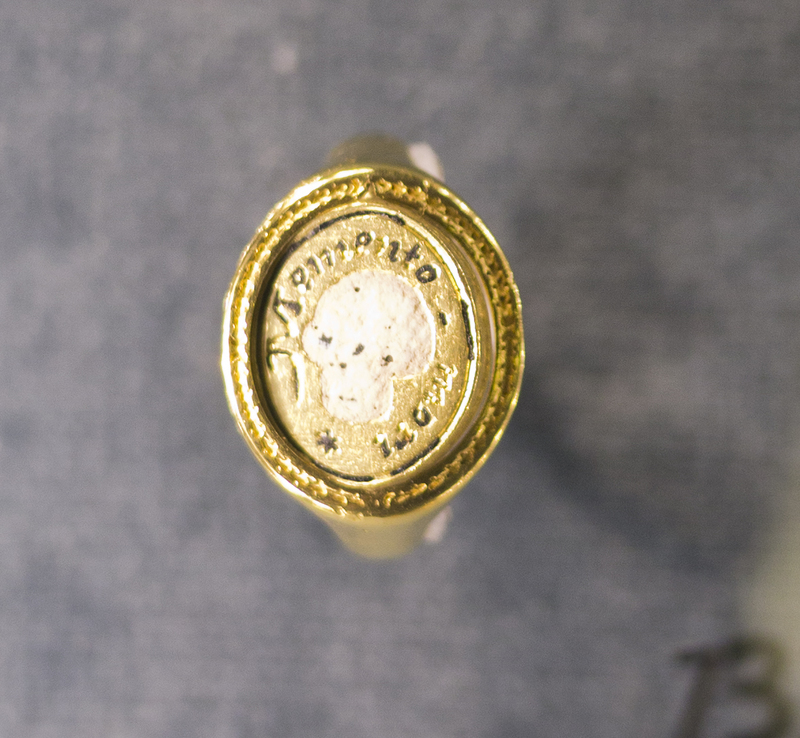 By the seventeenth century, specially made rings were engraved with the name of the deceased, their age, and the date of death. 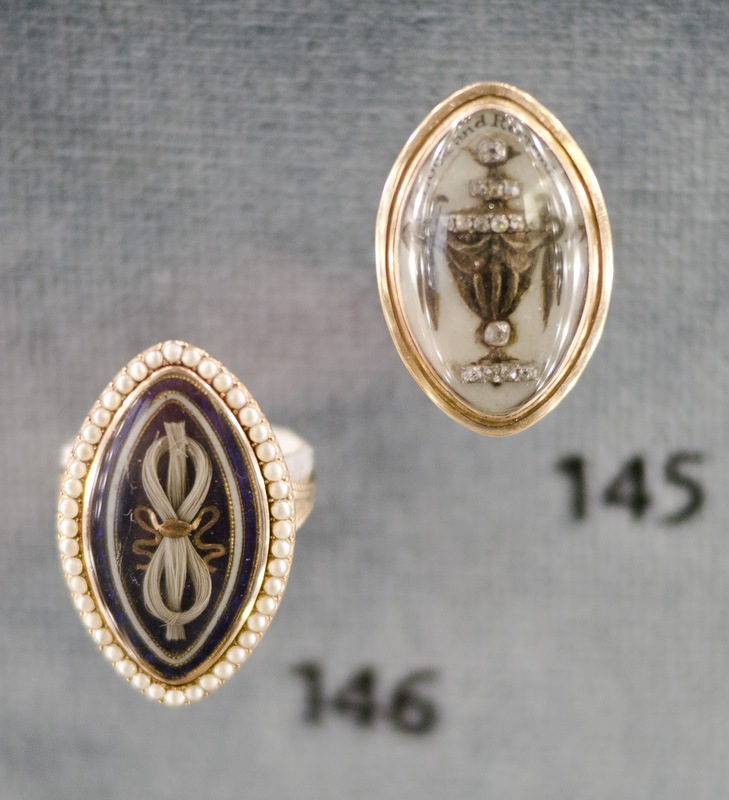 These 'mourning rings' took on various forms depending on the fashion of the age. Their distribution dwindled in the nineteenth century following the invention of the photograph as an alternative keepsake. 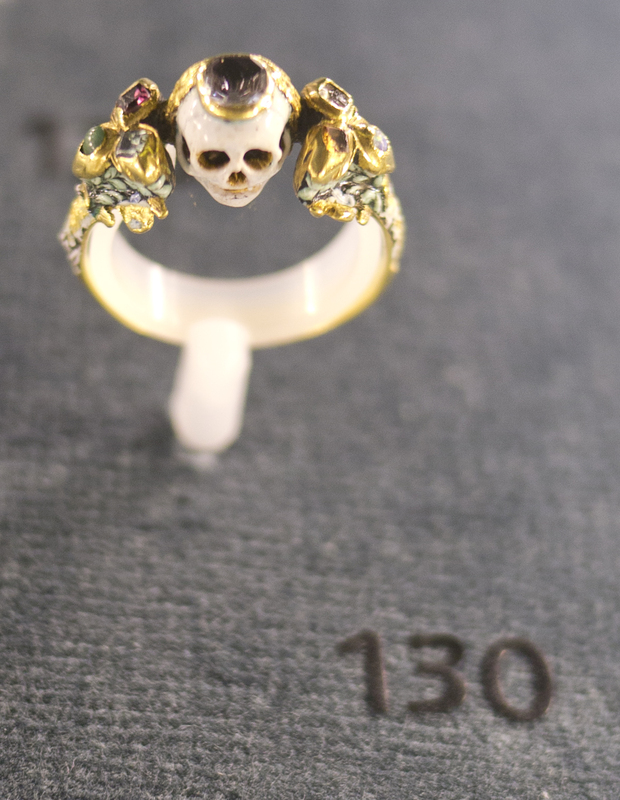 The macabre sixteenth- and seventeenth-century 'Memento Mori' (remember that you will die) rings were intended to remind the wearer of their mortal state in an age ridden with plague, war, and famine. 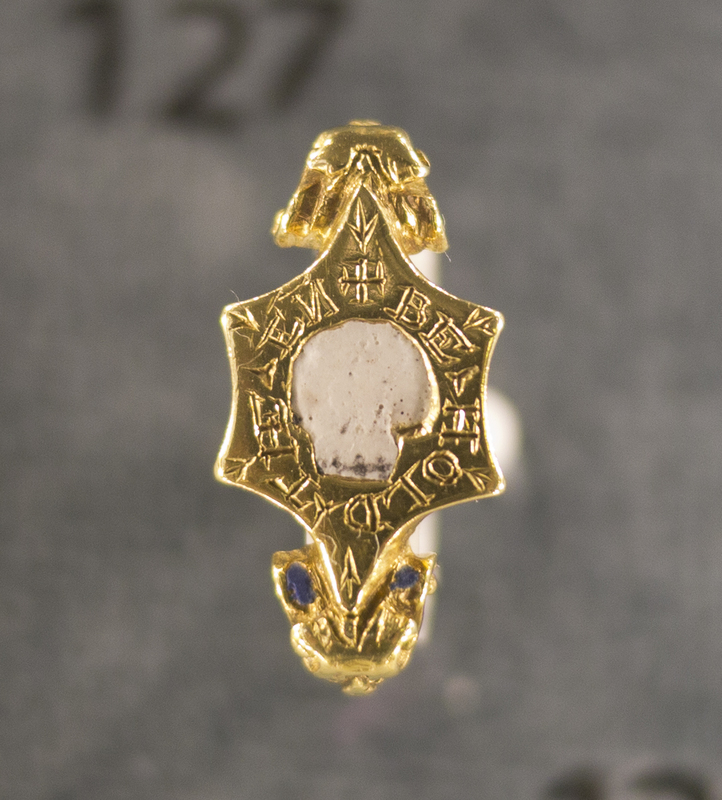 From today's visit to Oxford's Ashmolean Museum; text drawn from the label accompanying the display. This post is dedicated to Karen Bachmann, teacher of our hair art jewelery class at Observatory, who first introduced me to the concept.